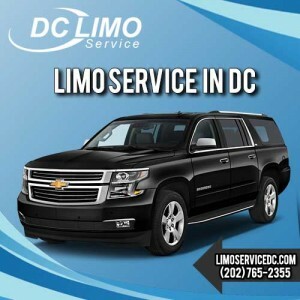 DC Airport Car Service: Using a limousine service for an airport doesn’t only have one advantage, it has many. The first thing that you need to know is that you will no longer have to go through the hassle of finding transport to take you to your hotel right after your flight lands. All you have to do is pick up your phone and make a reservation on call 24 hours prior to when you actually need the service and there you have it, it’s yours. Most transportation services will make it a point to confirm your booking through fax services or emails. When you are traveling whether it is for business or for the sake of touring a new place, you are unaware of the new city that you are entering which means you obviously do not know your way around. It seems only fair that you should hire a transport service that will come coupled with an expert chauffeur that will drive you to where you need to go. Nobody wants to travel in an old car when they tour a new city which is why we bring you late-model cars that are not only luxurious but also comfortable which that is what makes them the perfect transportation option for you. We don’t discriminate between our customers which is why our service is available to you whether you are visiting town on pleasure or business, all we know is that our customers deserve to travel in luxury and that we shall provide it to them. We provide the best models of cars to our customers coupled with our expert drivers to ensure that our passengers get the best out of their experience with us. One thing you need to keep in mind when making a booking at DC airport car service is to state exactly how many people are travelling with you because the last thing we want is to send you cars that are not enough to carry all your friends. People book our services for many reasons. Often it happens that people have terrible experience renting limousines for their travel that are too big and then renting economy cars that are just too small and not luxurious enough. It makes them want to book a car that is not only luxurious and big enough to carry their luggage but also comfortable. And that is when they find us. When you call us to book our services, you can choose from our fleet of late-model cars and pick one that is best for you. When you travel in a chauffeur driven car right after you land on the airport after your flight, it gives you a chance to calm your frazzled nerves and unwind before you reach your home or your hotel and isn’t that all anybody wants after a flight? We understand how difficult it can be switching from one transport service to another which is why we encourage you to see the facts for yourself rather than just taking our word for why you should hire us. Businessmen often say that time is money but it is not just true for them but for all our customers and we know. Being able to freely make phone calls and send important emails while traveling in a car can benefit people hugely as it gives them plenty of time to do what needs to be done since they don’t have all their energy focused on the road while driving themselves. The money that you spend on airfare, you can easily make up for during the time you spend working while our chauffeurs are driving you after your flight. Isn’t that just golden? The worst thing that a transport company can be is late. One of the many reasons why people book transportation services is to ensure that their aren’t late for their flights and if they end up missing their flight because their driver shows up late just wastes their money and is good for nothing. You can rely on us. Our drivers aren’t on time, but rather early ensuring that you are never late for your flight. Most transportation services out there focus more on how much money they make rather than how lasting their relationships are with their customers. We make sure that our clients get their money’s worth when they employ our services and that is exactly why we have loyal customers that have gotten us to where we are today. Our chauffeurs have been expertly trained to chart the most efficient route for your journey so that it is hassle and traffic free thereby rendering you to arrive on time always. When you drive your private vehicle, there are a lot of issues that you have to take care of. When you choose our transportation service and rent chauffeur driven cars, we take care of the parking fee as well as the tickets for you. All you have to do is sit back and enjoy the ride. Out of all the benefits that we have mentioned above, this one is by far the most important. When people travel, it is their priority to ensure that they are on time because if not they miss their flight and loss money. What is worse is that they miss important engagements just because their transport wasn’t on time. You can forget about this problem when you hire us because our chauffeurs are always early and factor in the time for possible traffic to ensure you don’t waste any time and miss important flights. We urge you to call our helpline and talk to our customer care representative to inquire about our services, chauffeurs as well as the discount deals that we have going on. All you have to remember is to book in advance so we can make sure you get your transport in time at DC Airport Car Service.